IceColdOne | Whats In Beer? Ever wonder what it is that makes up that liquid gold that slides down your throat? If so, then keep reading... we'll lead you though the basics of beer, and how you can make your own - you may find that commercial beers just arent your "cup of tea" afterwards. Made from malted barley or malted wheat, it is used as the base for most homebrews, providing the sugars that yeast consume to produce alcohol and carbon dioxide. Malt extract comes in a variety of forms. Usually, malt extract can be purchased as a hopped kit in a can, plain liquid, or in dried powdered form. Depending on your desired end product, malt extract also comes in a variety of colors for making different styles of beer, including extra light, light, amber, and dark. Although homebrew can be made with just extracts, most homebrew recipes include some form of malted grains. Specialty malts, such as crystal malt, chocolate malt (not a candy bar! ), and black malt, can be added to the extract brews to create various styles of beers like pale ales, porters, and stouts. It is also possible to brew without extracts by mashing the malted grains. All grain brewing involves mashing the base malts such as pilsner or pale ale malts in place of the extract. Unmalted grains such as oats, wheat, or roasted barley are occasionally used in the brewing process. Rice or corn (referred to as "adjuncts in" brewing terminology) can be used to produce fermentable sugars without adding to the body or to the flavor of the beer. Adjuncts used in place of malt or malt extract make thinner, less flavorful beers. Sugars (corn sugar or table sugar) can be used with the same effect. Hops are a flowers used to season beer (and they say guys dont like flowers!). "Bittering hops" means adding the hops early on in the boil process, to provide bitterness to the beer in order to balance the sweetness of the malt. Hops added at the end of the boil (referred to as "finishing hops") add flavor and aroma to the beer. Adding hops directly to the fermenter (known as "dry hopping") results in additional hop aroma to the beer. Hops also serve as a natural preservative, helping to prevent spoilage. Hops comes as either whole flowers or compressed pellets (looking very much likerabbit food). There are many varieties of hops available to homebrewers, allowing for a significant diversity of flavors and aromas. Different hops are used to brew different styles of beer. For example, "cascade hops" give American pale ales their distinct citrusy quality, "fuggles" have an earthiness common in English-style ales, and "saaz" lend the spicy/herbal character found in European Pilsners. If not - here's the more complicated version. Yesst makes beer by changing the sugars from malt or malt extract into alcohol and carbon dioxide. There are two major classes of yeast, ale and lager. Ale yeast is a top fermenting yeast (meaning it is most active near the surface of the fermenting beer) that ferments at warmer temperatures, generally between 55 and 75 degrees F (13-24 degrees C). Ale yeast tend to produce fruity flavors and aromas, which vary depending on the yeast. Lager yeast is a bottom fermenting yeast (meaning it is most active near the bottom of the fermenting beer) that ferments at colder temperatures, generally between 32 and 55 degrees F (0-13 degrees C). 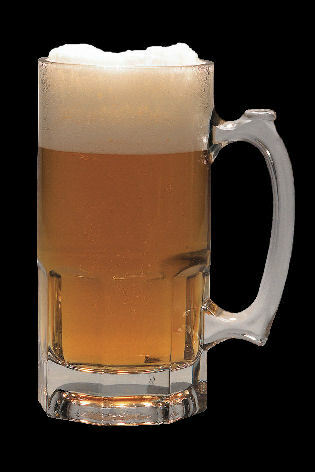 Lager yeasts tend to be neutral in flavor and aroma and thus do not produce the fruity esters found in ale yeasts. Beers fermented with lager yeasts are usually cold stored at temperatures below 45 degrees F (7 degrees C) following primary fermentation for a period of a few weeks to several months-a process known as lagering. Beer yeast is sold in two forms, dried and liquid. 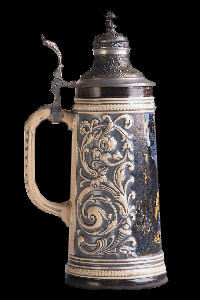 Water constitutes 90-95 percent of beer - and as such water is an important ingredient in the brewing process. Tap water will work, but overly chlorinated water can result in harsh flavors in the finished beer. Chlorine and other municipal additives may be able to be removed by boiling or filtering, but you may be better off to choose to use bottled water without these additives. 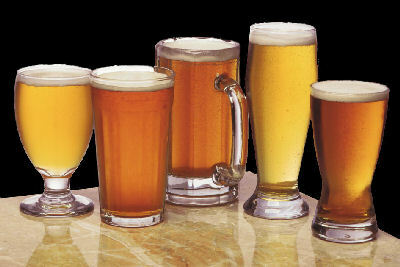 Factors such as mineral content and pH of brewing water can also have a significant effect upon the final product, although these are of less concern in "extract beers" than in "all grain beers". Certain minerals may be added to beer to achieve flavors found in beers brewed in certain areas of the world, for example the famous English pale ales of Burton-on-Trent are brewed with the very hard water found in that region. The more common mineral used in brewing include Calcium Sulfate (gypsum), Calcium Chloride, Sodium Chloride (table salt) and Magnesium Sulfate (Epsom salt). So there you have it - thats what goes into a beer. Or more precisely what should - commercial beer makers have their own unique challenges, and while the process and core ingredients are all the same, the way they get there can differ.